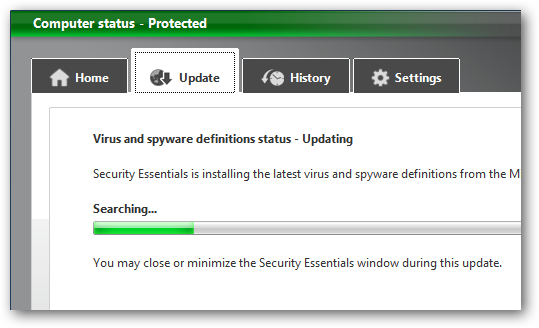 If you’re a new user of Microsoft Security Essentials, you might be unclear on how to update definition files manually or automatically. Here we’ll show you a few methods you can use to make sure MSE is always up to date. 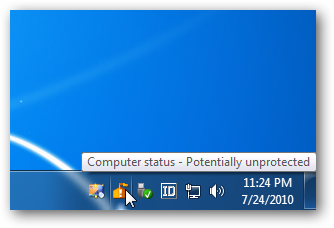 If MSE needs to be updated it will show in the Taskbar as an orange exclamation point icon letting you know it needs attention. There are a couple of ways you can update MSE 1.0 and the 2.0 beta manually. First you can open it up and go to the Update tab and click the Update button. 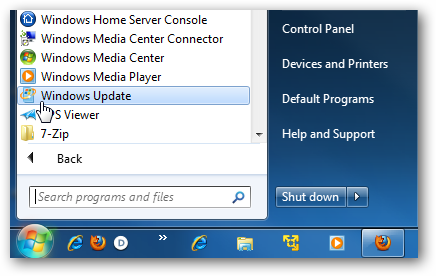 Another method is to use Windows Updates. 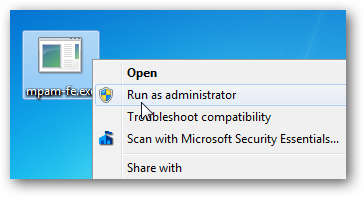 Open Windows Update from the Start Menu or from the Taskbar if you’ve pinned it there. 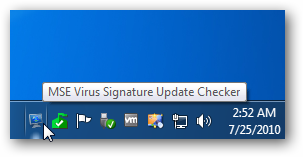 If you manually check Windows Updates everyday, more than likely there will always be a new definitions update. 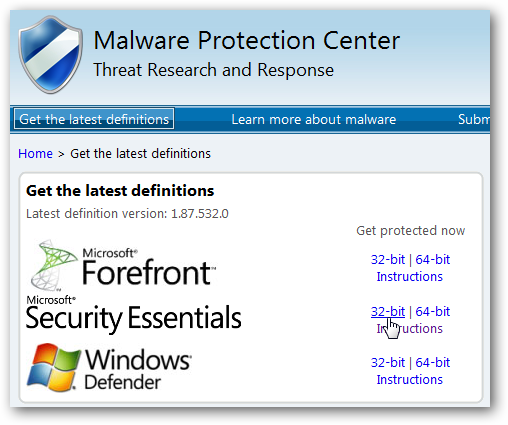 You can also head over to The Microsoft Malware Protection Center and download the latest definition files and install manually. Then run mpam-fe.exe as administrator and you’ll be updated. 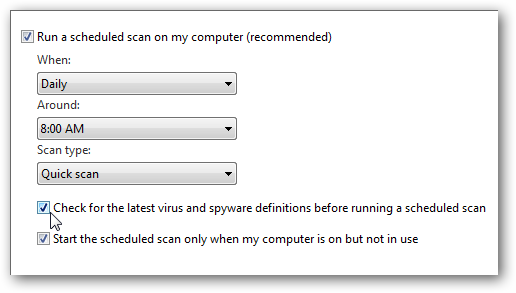 To make sure you get the latest malware definition file before a scan, go to the Settings tab, then Scheduled Scan. Make sure Check for the latest virus and spyware definitions before running a scheduled scan is selected. This will ensure MSE downloads the latest definitions before a scan. If you have Windows Update set to download and install updates automatically daily, make sure and check Give me recommended updates the same way I receive important updates. This way you’ll be sure to get the latest definition files everyday. 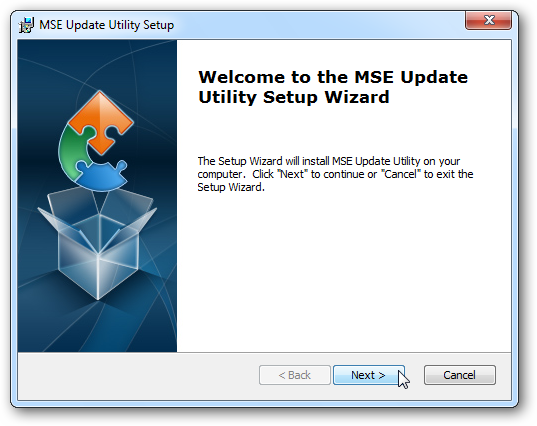 If you don’t want to enable automatic installation of Windows Updates, there is a third-party application that can help called MSE Update Utility. Just download and install it accepting the defaults. 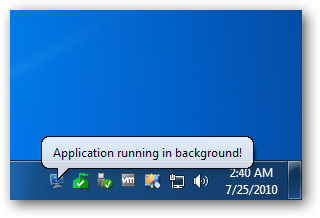 After it’s installed it will run in the Taskbar and make sure you have the latest definition files depending on how you schedule it. 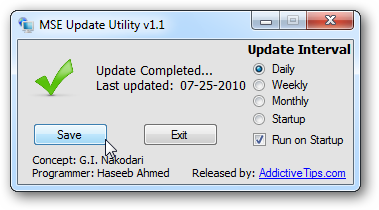 If you want to make sure you’re always current, set the update interval to Daily and check Run on Startup. This will work with MSE V 1.0 but doesn’t work with the new MSE beta 2.0. 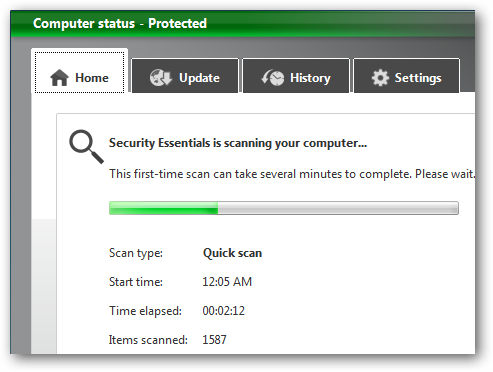 Whether you do it manually or automatically, if you’re new to Microsoft Security Essentials, these quick tips will help make sure MSE is always up to date. If you haven’t tried out yet, check out our screen shot tour of MSE 2.0 Beta.